Exciting times are upon us in the world of tech, with function and design reaching points of progress we could’ve only dreamed of just a few years ago. Likewise, crafting an intuitive, user-pleasing experience or web-based product is more possible than ever before – with the right training. 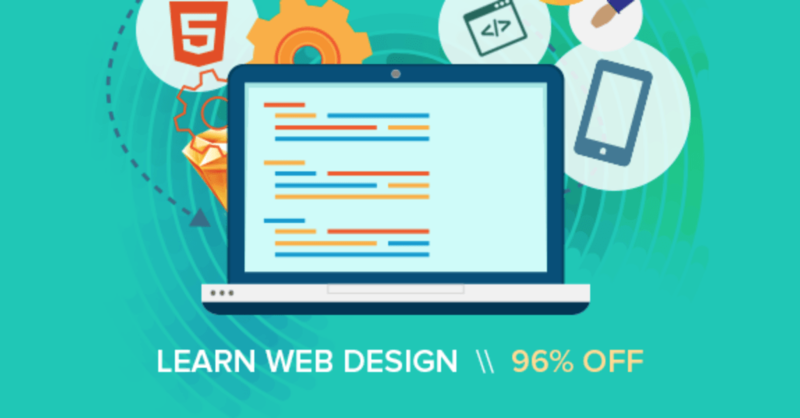 The Learn to Design 2016 Bundle consists of nine courses, clocking in at 57 hours of content, will get you caught up on the craft of design in the modern age, covering everything from HTML to CSS, responsive design to rapid prototyping and beyond, all for just $39 from TNW Deals. Mobile App Design in Sketch 3: Learn UX/UI From Scratch: Dive into responsive, mobile-first Web design with Sketch 3. Master Web Design in Photoshop: Master Photoshop foundations & important web design principles to design custom graphic elements and integrate them into your web framework. Mobile App Design: Learn UX/UI and Start a Freelancing Career: Learn the steps to create websites and apps with maximum user experience satisfaction. Creating a Responsive Web Design: Build stunning web experiences that look and function great on any platform or device. Web Design: HTML and CSS for Rookies: Master fundamental programming languages to create lists, frames and external style sheets, build a web layout and more. Rapid Prototyping for Entrepreneurs – Build a Demo in 2 Hours: Formulate your strategy & define your scope to turn out a real demo of your app in just 120 minutes. Learn Web Designing & HTML5/CSS3 Essentials in 4 Hours: Take Photoshop mockups and turn them into fully functional websites. Mobile First & Responsive Web Design: Build Modern Websites! : Understand what responsive design is & why it’s important. With the knowledge from this learning bundle, you’ll have the skills needed to kick-start a new career – and with this $1,200 value now available at 96 percent off its regular price, you’ve got no excuse to wait. Pick it up now for just $39.